Last week I shared that I was GDT at Webster's this month. 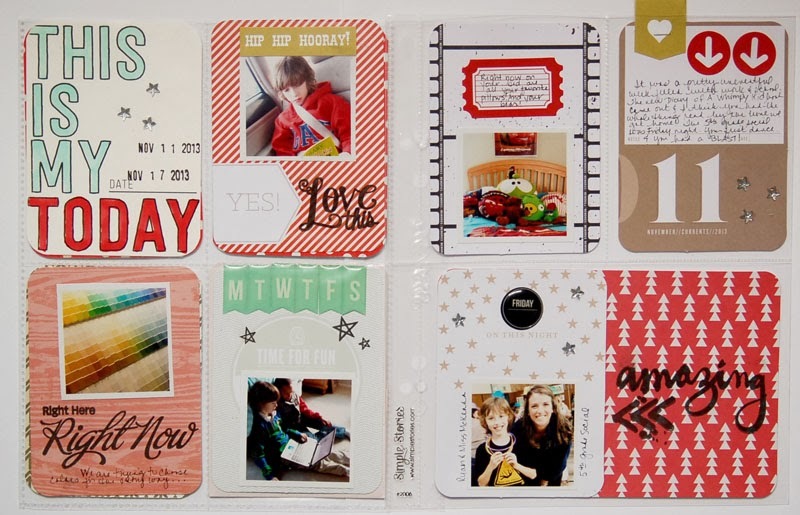 Today, I'm sharing more cards that I made for them using the New Year, New You line. I absolutely love the colors. It definitely can be used for more than New Year's projects. 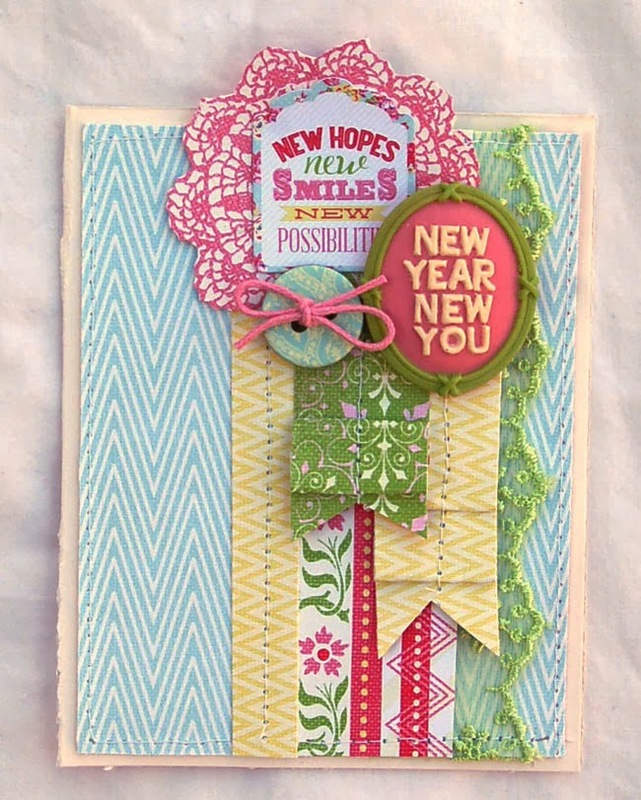 My first card was made for a friend who had a pretty crummy 2013. I made it so that I could send her some 'good vibes' for 2014! I added some strips of paper that I folded into ribbon strips and stitched. The green trim added nice texture, too. I just love the cameos and wanted to feature this one. I also love the chipboard button and added it in, too. 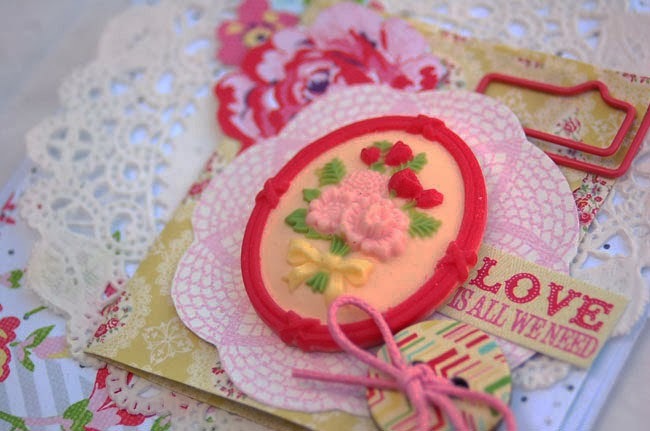 one of the little bags and a doily. The sentiment was added from the sticker sheet. 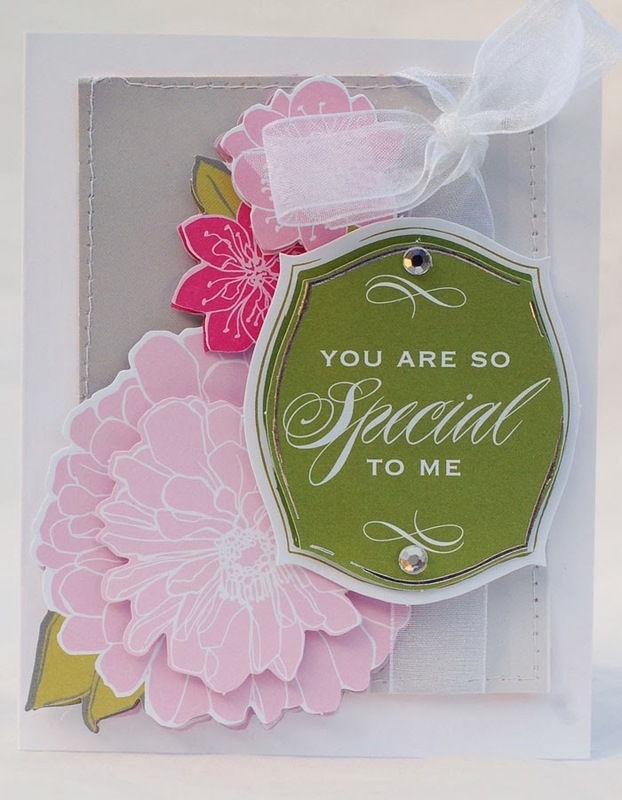 This card could definitely be used as a Valentine or an anniversary card. Thanks for stopping by and taking a peek today. Be sure to come back on Monday. 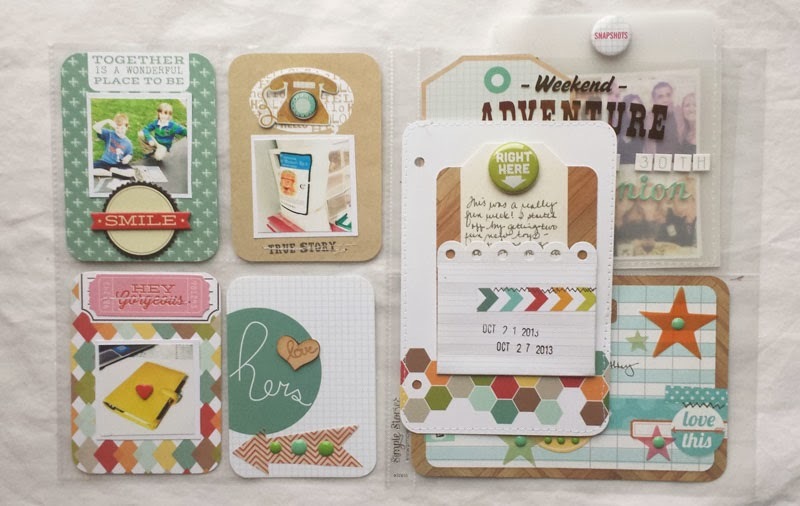 I'll be part of a fun blog hop between Gossamer Blue and Elle'sStudio! 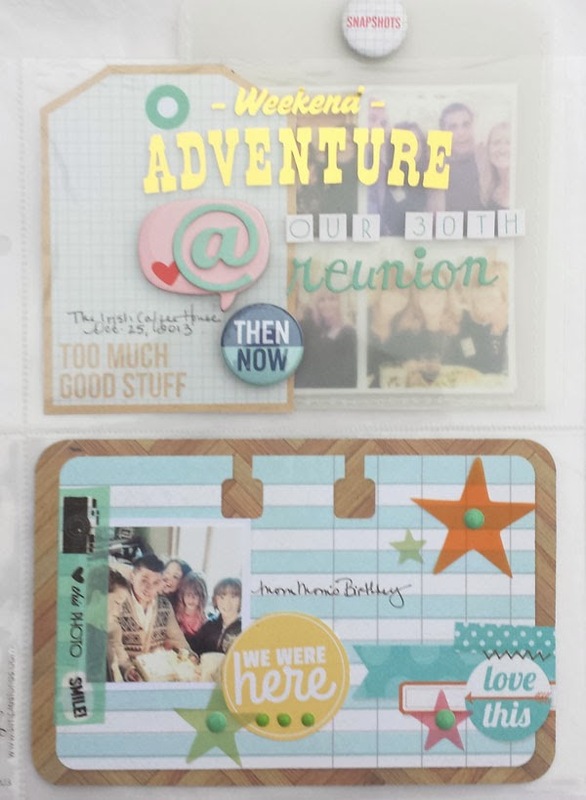 I have really been making he effort to catch up with my Project Life album. Since I use the 6 by 8 Snap albums, I do one for each season. I decided this past weekend to finish my fall album and YAY, I did it! Here are a couple of the spreads that I created. 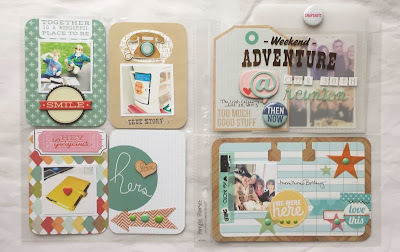 I used a lot of Studio Calico goodies on here. As you may know, my favorite color combo is aqua an red. I finally broke apart my stamps and organized them. I am so excited to be able to use them more now. That 'amazing' stamp, below, is my new favorite! 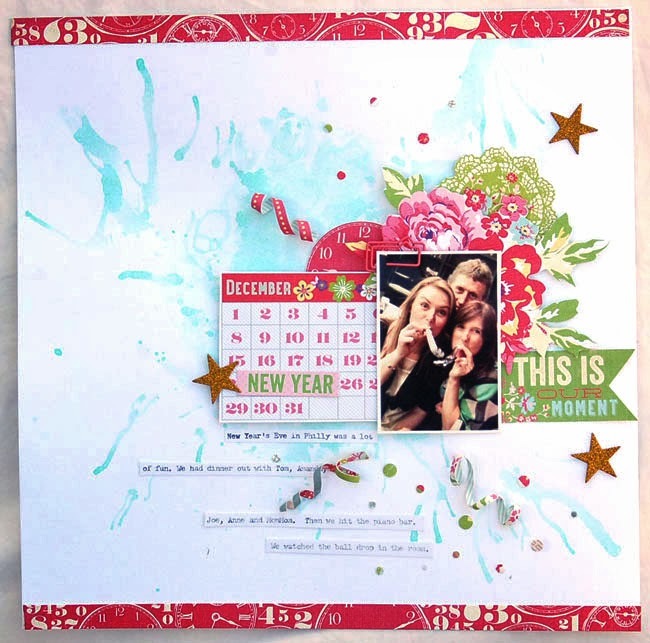 On this spread, I used a lot of orchid - the new Pantone color for 2014. 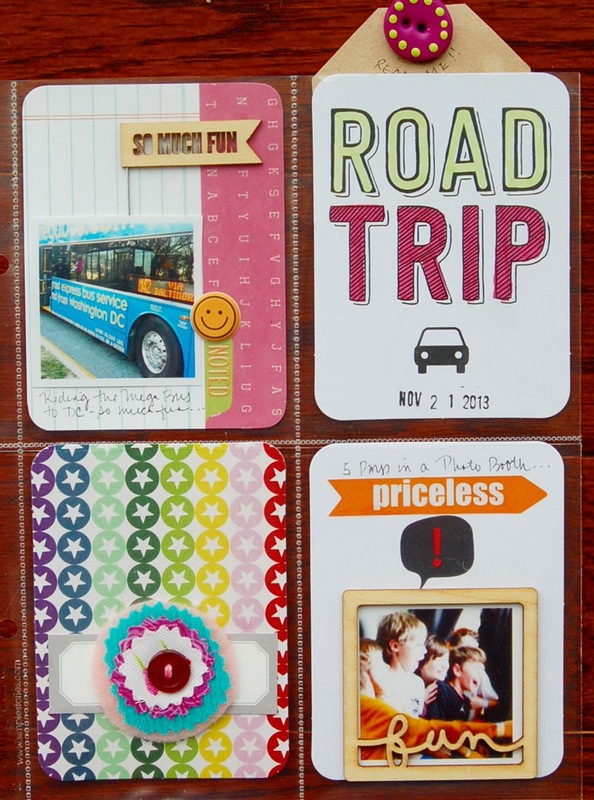 Again, I colored the "Road Trip" card with Copics. 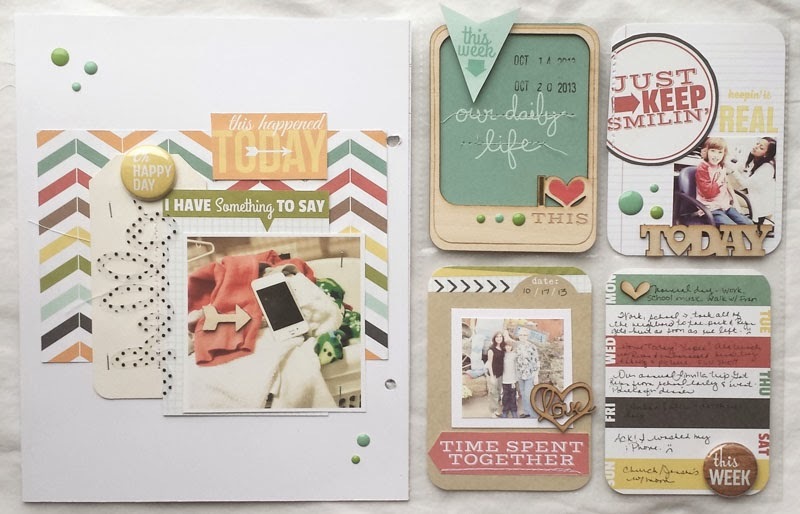 On this spread, I pulled out my Freckled Fawn Oh Deer Me kit. I LOVE these kits. 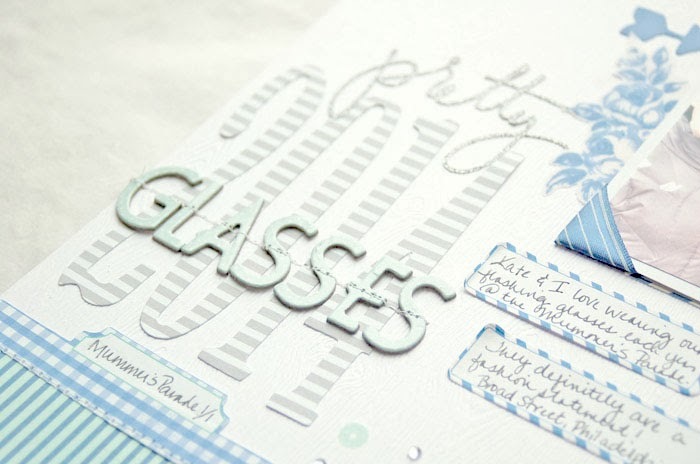 The blue stars, wood flags, cork calendar, clip and resin frame are all from the kit. Aren't hey fun? Since my PL spreads are smaller, I often will journal on tags that I tuck into the pockets. That way, I can use the pockets for pictures and cards. 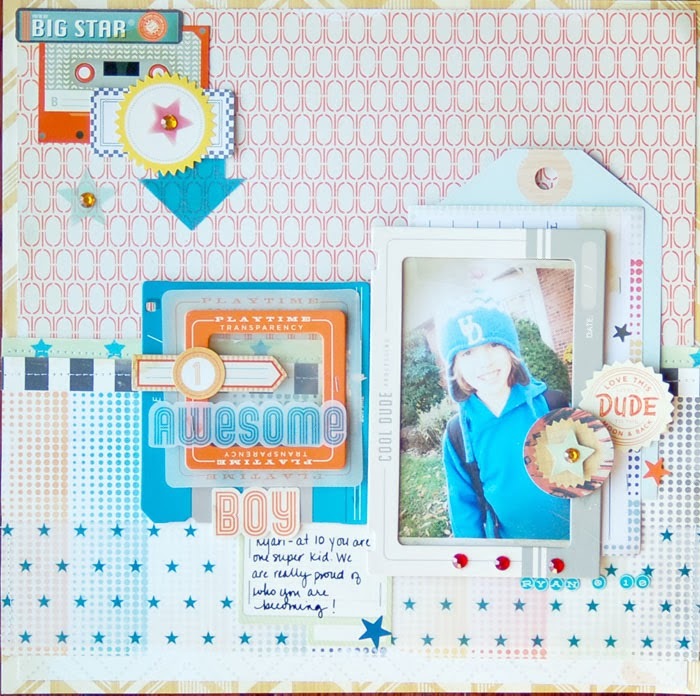 I pulled a couple of really old things from my stash for this spread. The flannel flower and button were bought on Etsy years ago. The colors were perfect here. Happy Friday! Although, I can't really complain about this week. We were off for MLK Day on Monday, had a half day because of the snow on Tuesday, were off for a snow day on Wednesday and the kids at my school have a half day today. Luckily the week has been so easy, because we have a killer busy weekend coming up. 2. I can put a dent into the many supplies I already have. 3. It gives me the chance to channel my inner 'cuteness'. For example, I probably wouldn't use cute Japanese bear stickers or Hello Kitty on my scrapbook pages, but they are perfect in my FF. 4. It makes me want to open up my planner and use it. I can't stand looking at boring pages. 5. 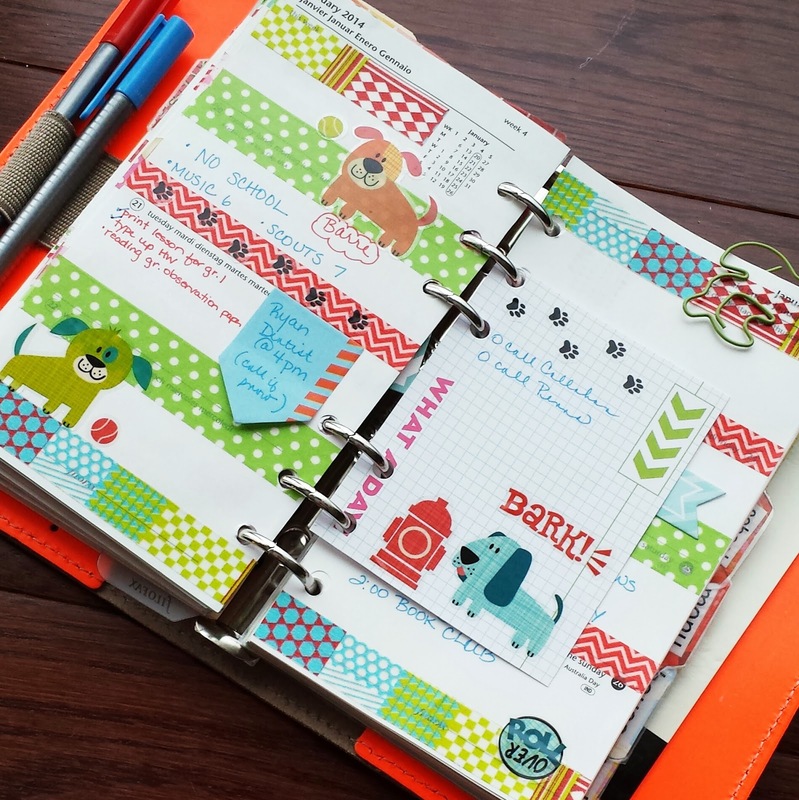 Decorating my pages is kind of mindless... I sit with my cup of coffee on Sundays and go for it. 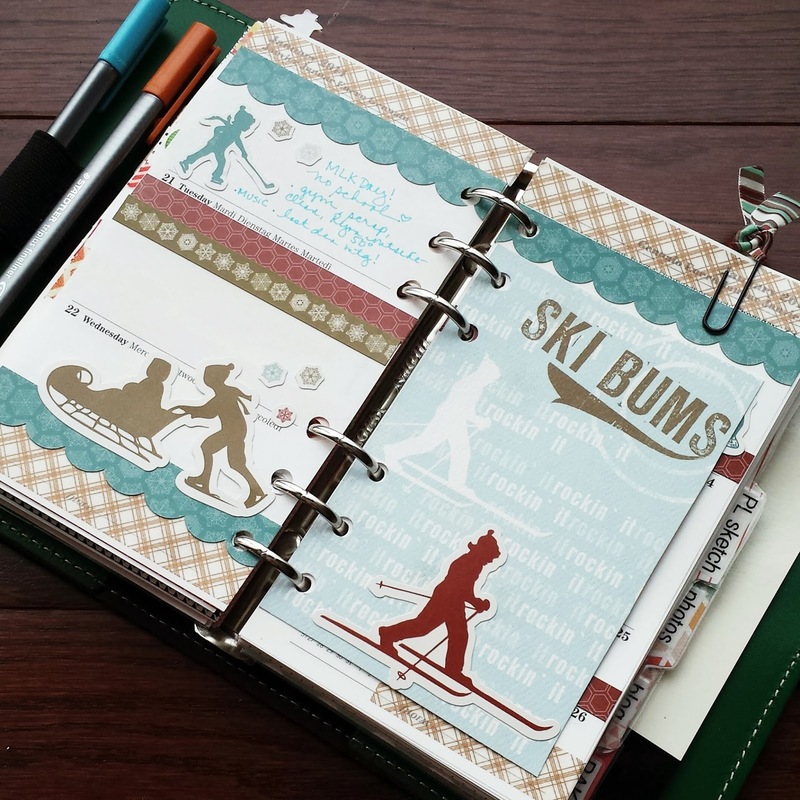 I don't have to plan my design, print pictures, etc. 6. I love the FF social communities that are out there. I really didn't need another reason to get sucked into another online group, but being the social creature that I am, it happened. Aren't those dog stickers cute? My friend, Heather, gave them to me. Love them. 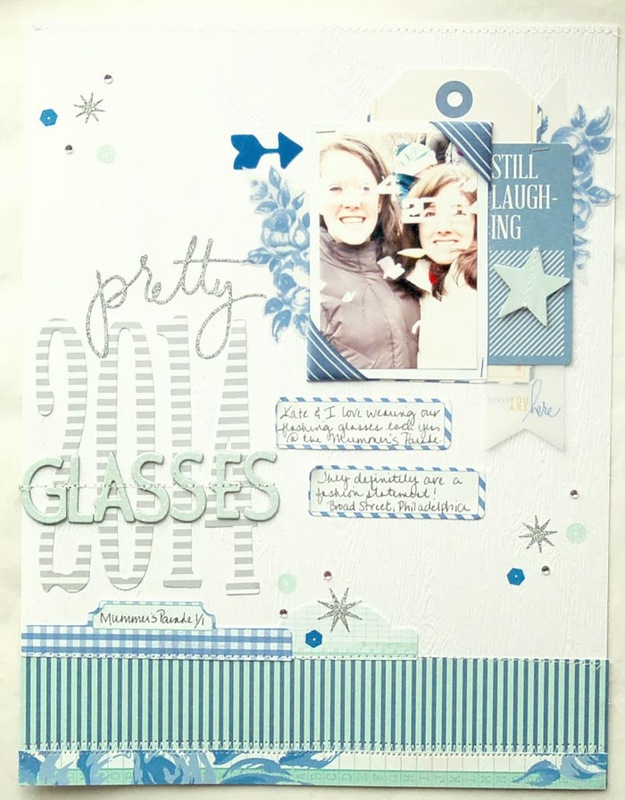 In my Green Personal Original this week, I decided to go with a snow theme - pretty appropriate given the weather we've had! For this spread, I pulled out some old Carta Bella scrapbooking supplies. 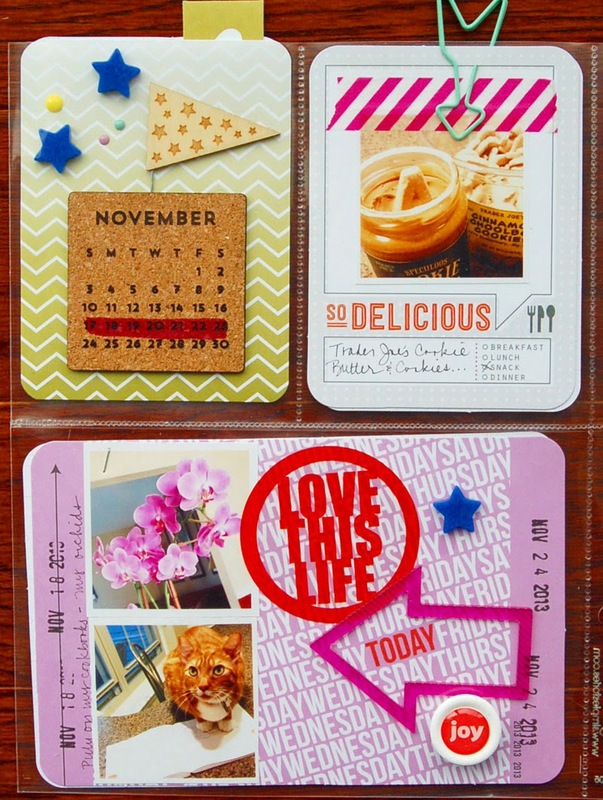 I cut the card from one of the papers and added the cute silhouette stickers. Finally, I leave you with my system for keeping track of which photos I'll use for my PL spreads. It's not very complicated. :) I've been really far behind and am finally almost all caught up. 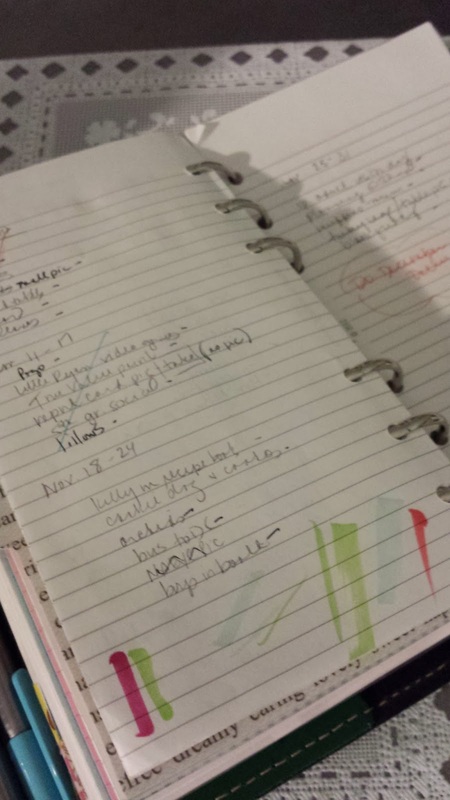 What I'd been doing is jotting daily notes on my pages (See Monday above). Then, when I needed the pics, I'd scroll through my phone and make note of which ones I'd use. Here's my most recent notes. Now, I'm ahead of the game. 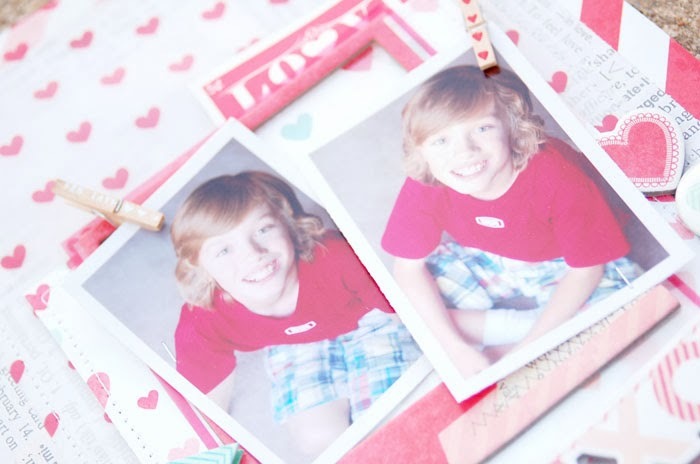 I am editing my daily photo each night and jotting it down in my FF. That way, at the end of the week when I go to do my spread, I'm ready to go. Wish me luck. If you have another way of keeping up with this let me know. We are busting a the seams to share with you this new community, exclusively for pocket scrapbooking. 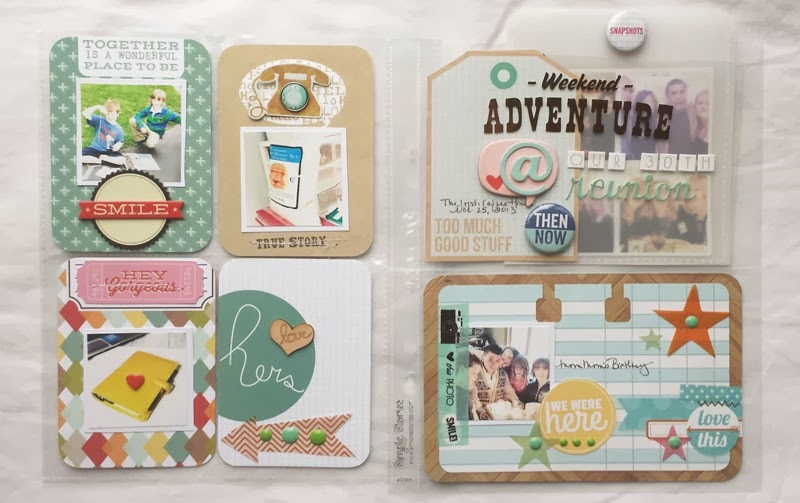 Tired of your pocket layouts getting lost in the online scrapbooking world? Tired of click, click, clicking through numerous websites to find inspiration or tips and tricks? 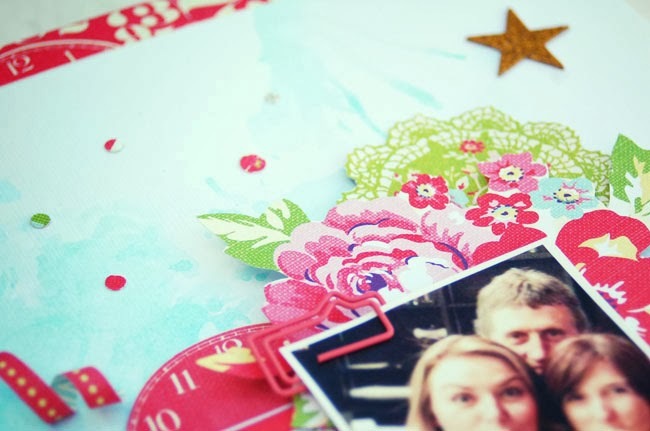 Are you NEW to the wonderful world of pocket scrapbooking and you want ONE place to start? 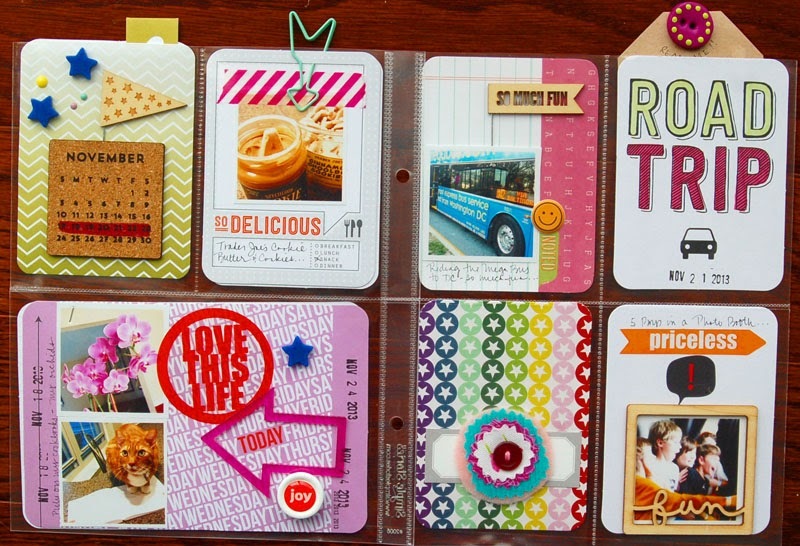 Have you been using pocket scrapbooking for years and want a place where you fit in? Look no further! 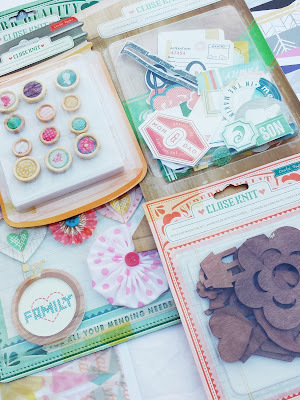 The Pocket Source will provide you with a Member Gallery full of only pocket scrapbooking layouts, a community forum for discussing everything and anything for pocket scrapbooking, a team of bloggers who will blow your mind with new ideas 5 days a week, and much much more. Stay tuned for our big site launch in February. As you may know, I spent five years on the Webster's Pages design team. I truly loved every minute of it. Brandin and the rest of the crew became my 'scrappy family'. But, at the end of 2012 I decided that I needed to make some changes and decided that it was time to move on. Well, I was thrilled when they contacted me and asked me to be the GDT for January. 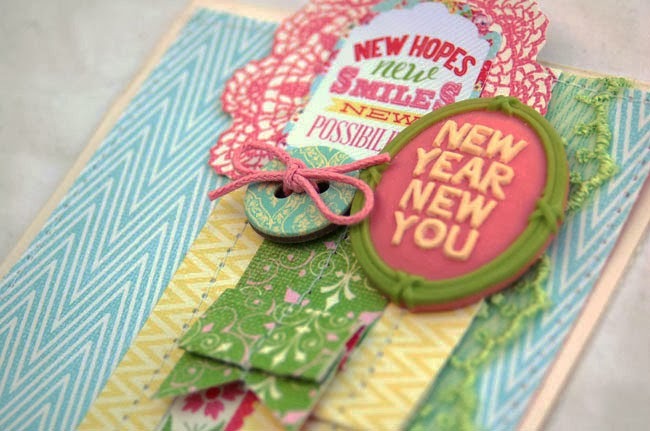 I was sent the gorgeous New Year, New You line and had so much fun creating. Here's the layout I made using the line. I started off by creating the background. I mixed some aqua gouache paint with water and dripped it onto the paper. Then, I used a straw and blew it around. I wanted to give it kind of a 'fireworks' look. 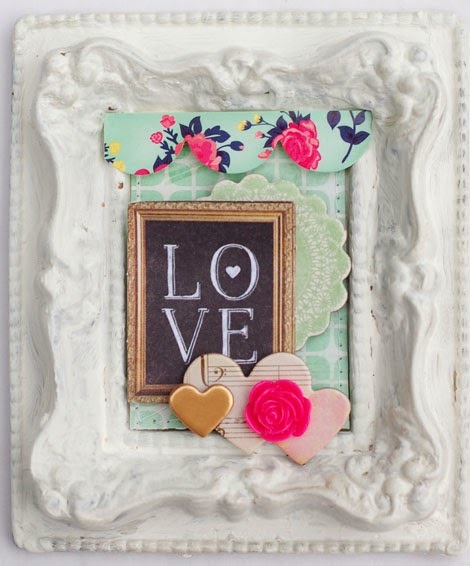 Once it dried, I added the picture and layered some of the paper elements onto it. I cut a few thin strips of paper and rolled them around a pencil to make a curly-q. 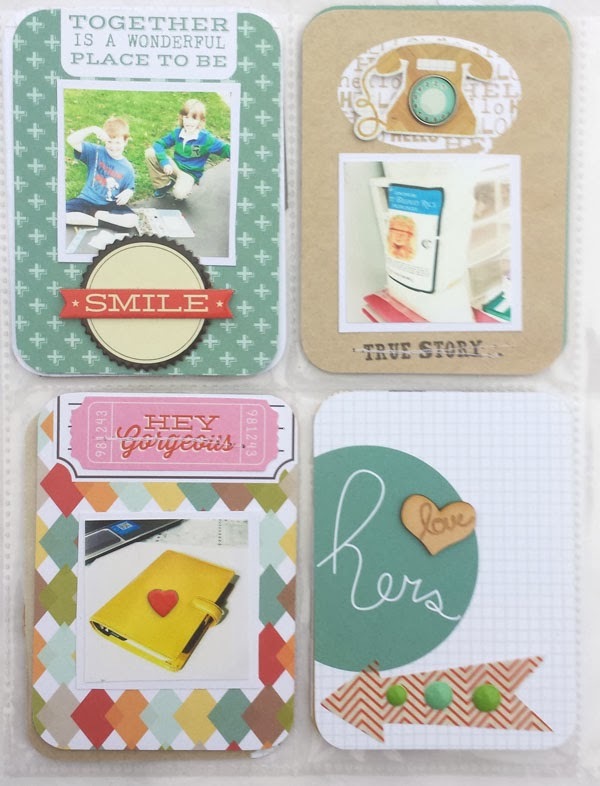 And I added some of my favorite Studio Calico gold stars. This pic cracked me up! As I mentioned in the post below, we spent New Year's Eve in Philly with our family and some friends. Here I am with my friend, Amanda. My funny hubby decided to photobomb us! I love the colors in this line so much. I made a couple of non New Year's cards and will share them with you next. 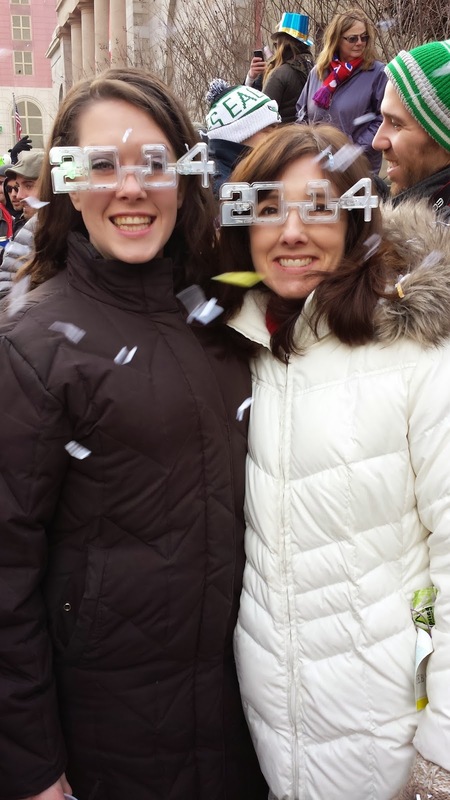 For the past few years, our family has spent New Year's Eve in Philadelphia ringing in the New Year. We stay at a hotel, go out to dinner and spend January 1st watching the classic Philadelphia Mummer's Parade. If you don't know what the Mummer's are, think a cross between the performers in Carnavale, Liberace and Mardi Gras. The bands get all kinds of dressed up and perform to various themes. It's a lot of fun. My husband thinks we are crazy, but its a lot of fun. What you can't tell from the pics is that the glasses have small colored lights I that that flash. LOL! Anyway, I figured it was about time that I documented our New Year's glasses. Here is the page that I made using this year's pic. 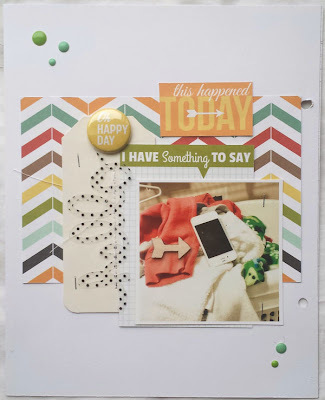 I used a lot of goodies from a couple of my favorite lines - Heidi Swapp and Jenni Bowlin. 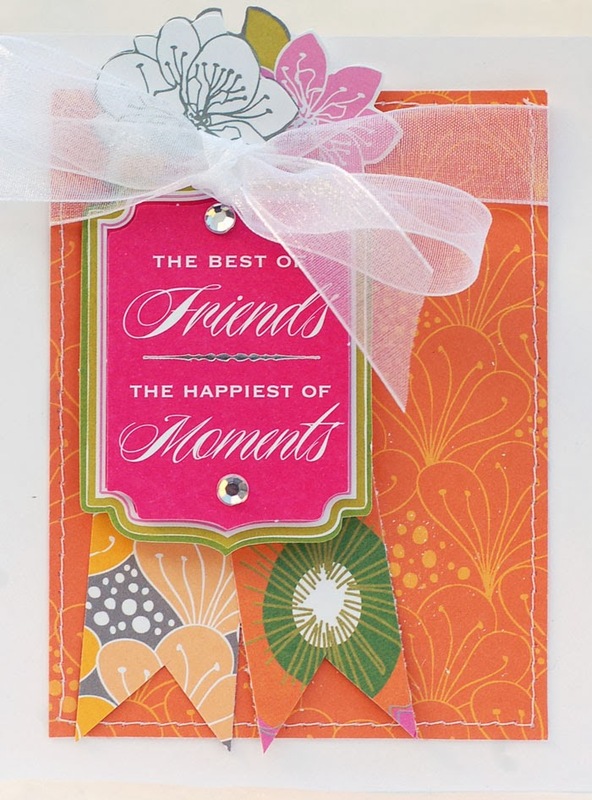 Aren't those ribbon corners fun? 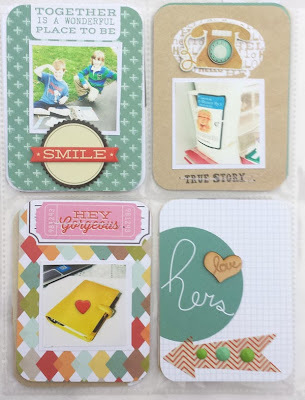 They are from Dear Lizzy and might be one of my new faves. 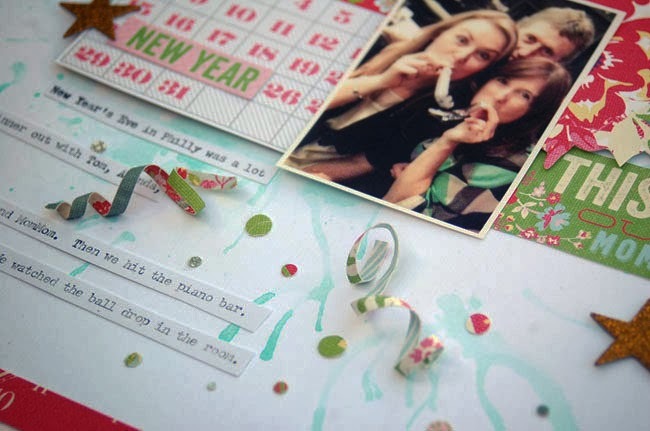 What fun New Year traditions do you have? 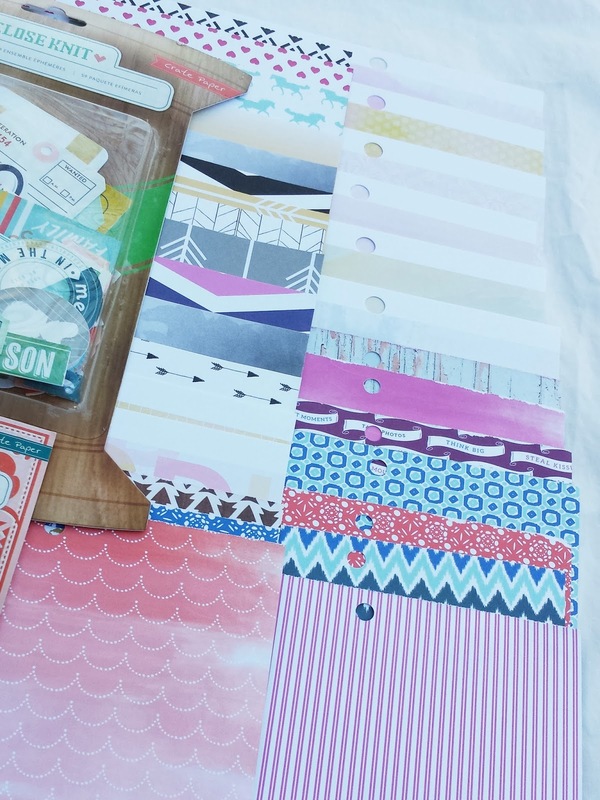 Have you seen the awesome new Crate Paper lines? As always, I just love them. Crate never disappoints. 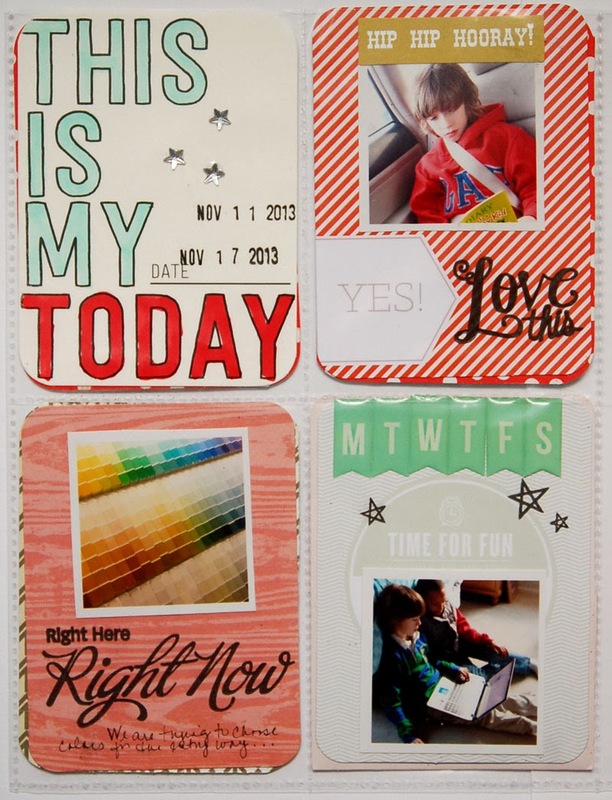 I have a couple of layouts to share today. They are currently in the Crate booth at CHA. I wish I was able to be there with them, but work is extra busy right now, so I couldn't go. Hopefully, next time. My first page uses the new Boys Rule line. This is probably my all time favorite boy line. 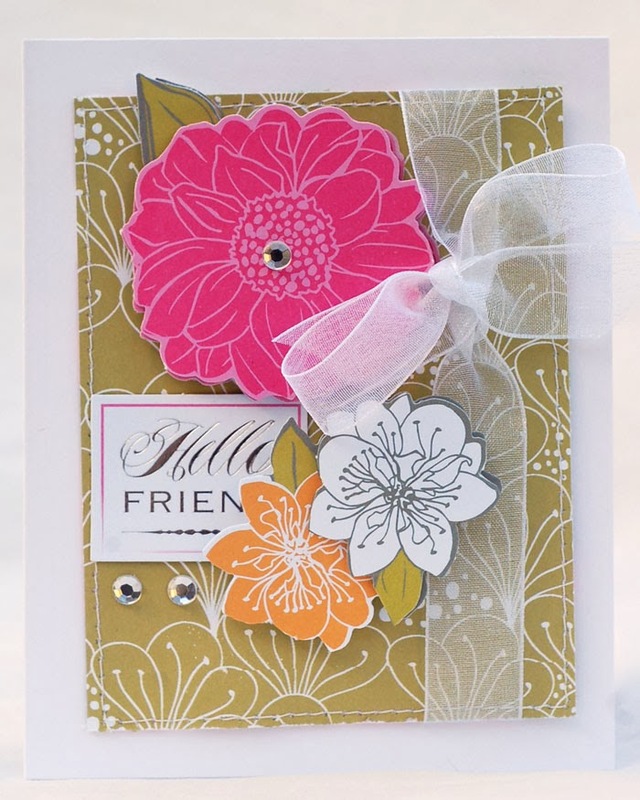 There are great colors, designs and loads of die cuts with different themes. Since my main scrapping subject is a 10 year old boy, I'm sure I'll be using this line a LOT. Crate's chipboard frames have been one of my favorite new embellishments from them and the ones for this line don't disappoint! And there's vellum! 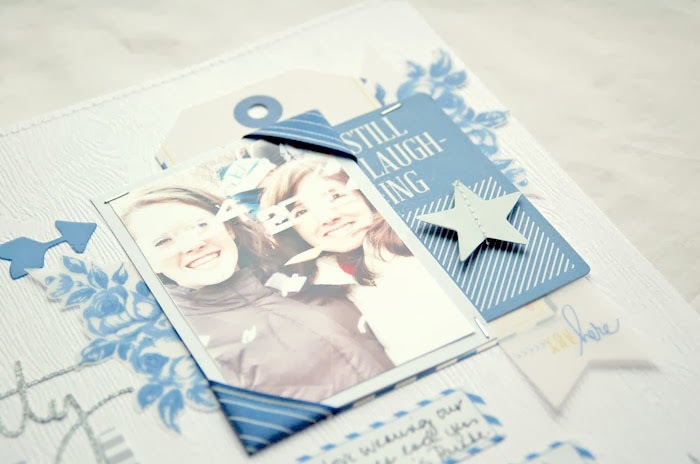 I love vellum and the cute stars on this one are just perfect. 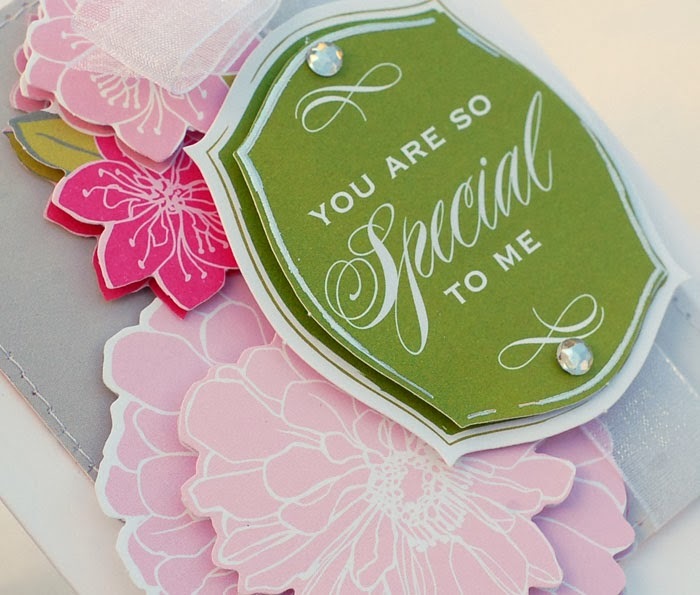 Speaking of just perfect, how cute is Love Notes. There's vellum for this line, too. Aren't those hearts adorable? 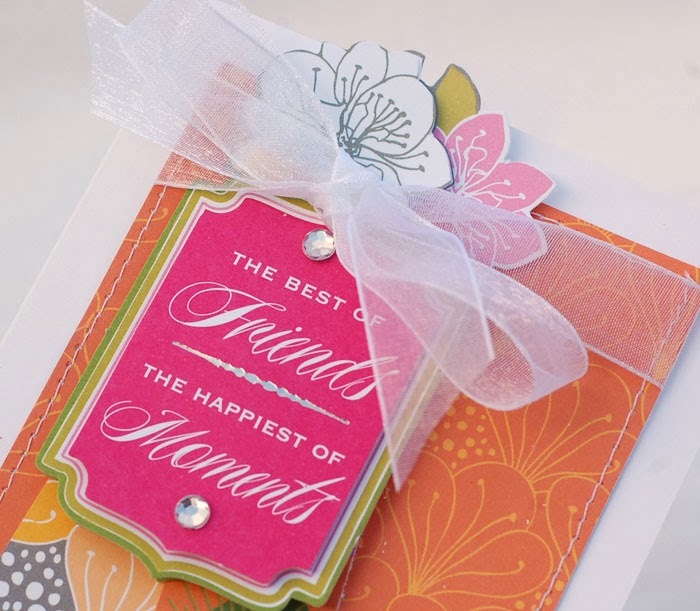 I just love these little clothespins, too. 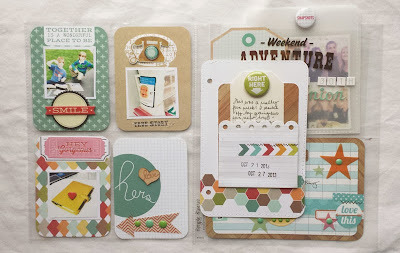 Stop by the Crate Blog to see the entire new release! I love orange. My purse is orange, my jacket is orange and my newest Filofax is orange. Bright orange. Really bright. As in Neon. I LOVE it! As my coworker said the first day I brought it to school, I'll never have a problem finding that thing. ;) It's no secret that I hate the cold and darkness of winter. I think that's why I'm making this one my everyday binder for now. It brings some warmth into my life! 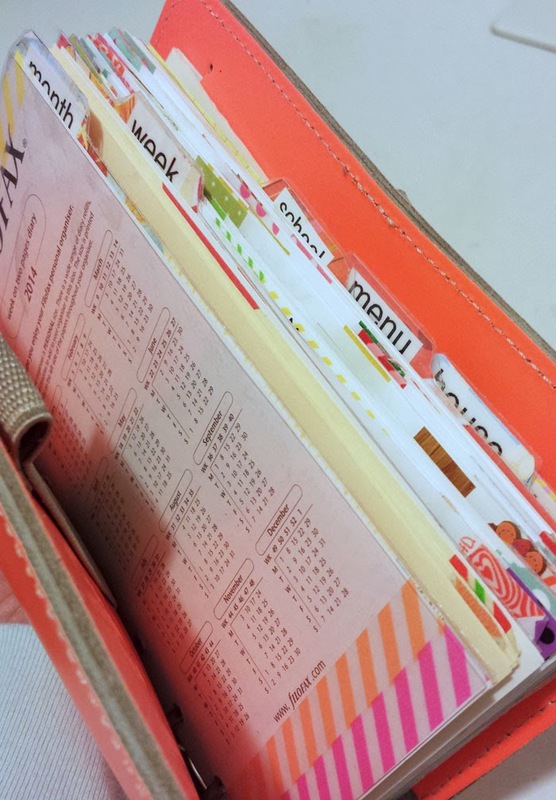 Here's how I organized them in my binder. I made sections for my monthly calendar and my weekly calendars. Then, I made sections for notes related to school, a place to plan my menu, a section for long term home projects and a general to do section. So far I really love my new Filofax. I've been trying to fit two pens into the front section and the strap isn't long enough to close comfortably. But, other than that, I feel like I do have plenty of room in it. Here is my week for this week. I really needed some flowers this week! 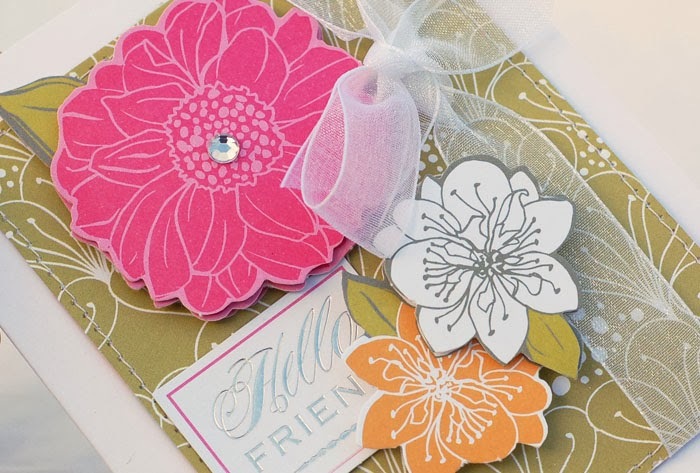 The Dear Lizzy line was perfect and makes me think of spring every time I open it. 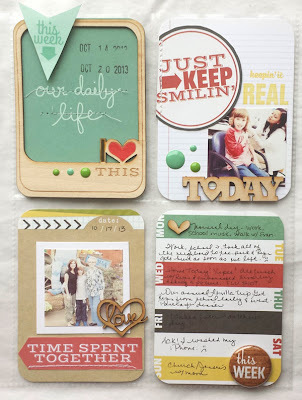 Here is what's going on in my Green Original this week. 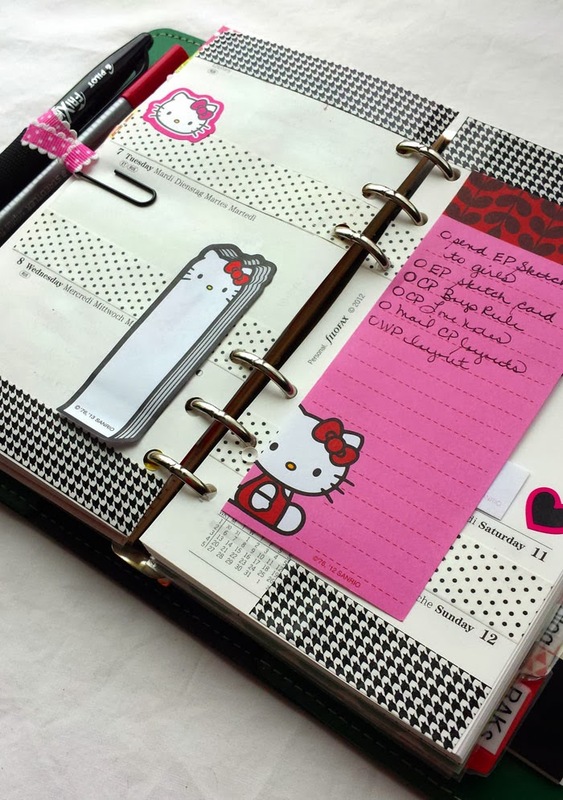 I kept it pretty simple with some cute Hello Kitty goodies. 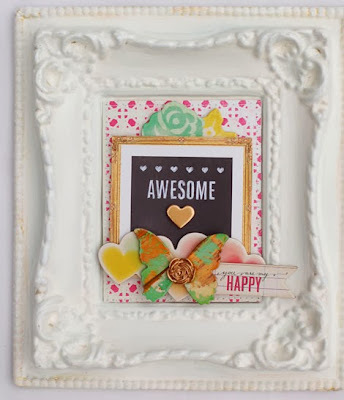 I made the paper clip marker after watching this cute Youtube Video. Thanks to everyone who stopped by my blog for the Season's of Giving Blog Hop. According to the Random Integer Generator, LvMyMedic is my winner. Please email me your address and I will get the prize mailed to you. Congrats! I'll leave you with a quick project today. 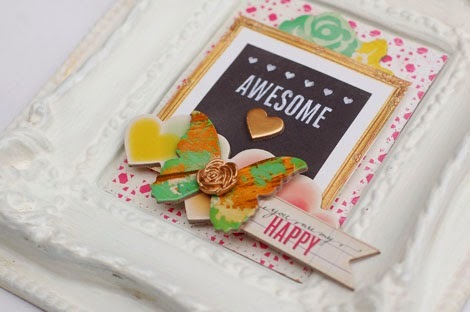 These are some cards that I made recently for Emma's Paperie. 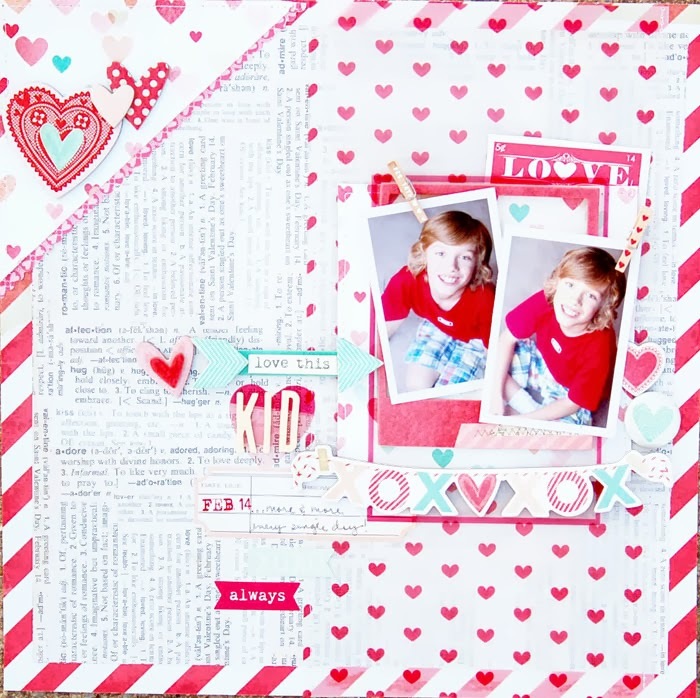 I used some Anna Griffin papers and stickers on them, along with some pretty sheer ribbon. 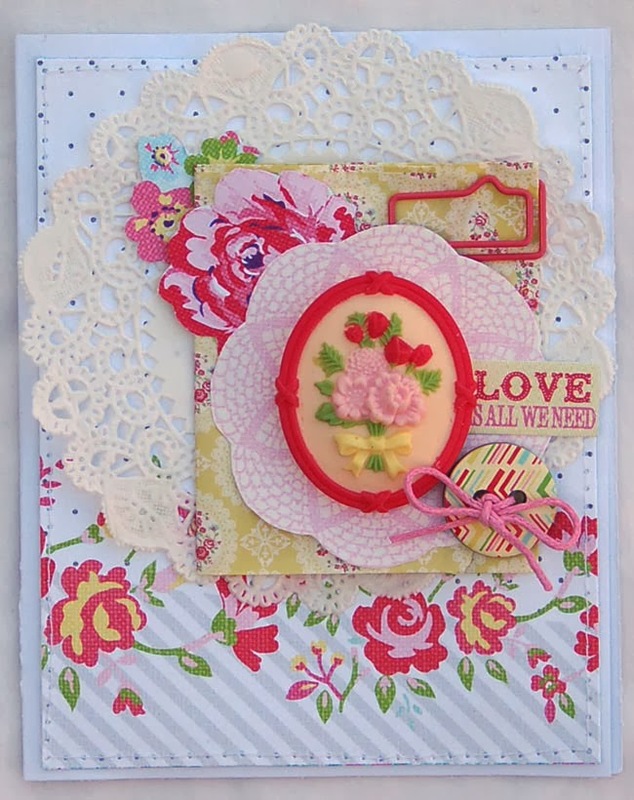 I haven't been making as many cards lately, only because I have about 5,000 of them stacked up here, LOL. 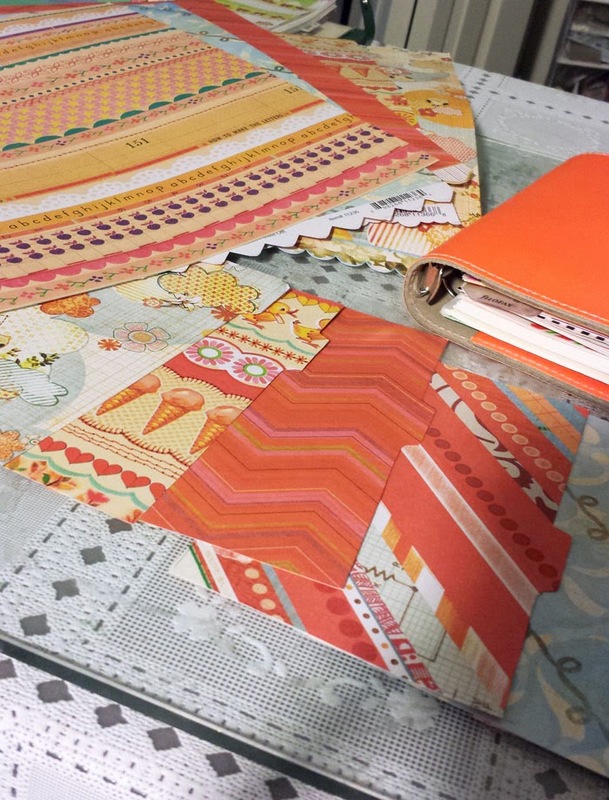 Plus, I've been keeping busy with Project Life. I thought these would make for a nice, bright post on such a cold, wintery day! Be sure to scroll down to the next post if you are visiting before midnight EST on Janurary 5. 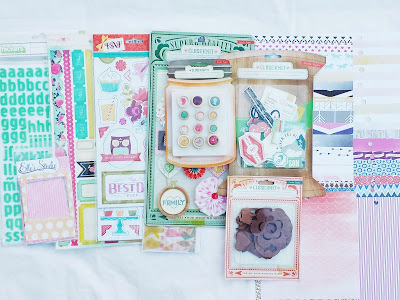 I have an awesome giveaway going on! Here are my LP spreads for this month. This first one uses lots of the exclusive wood veneers that came with the kit. I LOVE them, especially the frame. The "Just Keep Smilin'" was cut from another card and adhered to a white card along with the picture of Ryan getting his flu shot. I love the stamps in this month's kit. They are perfect for those 'real life' events. I used the 'keepin' it real' stamp here. Happy New Year!! 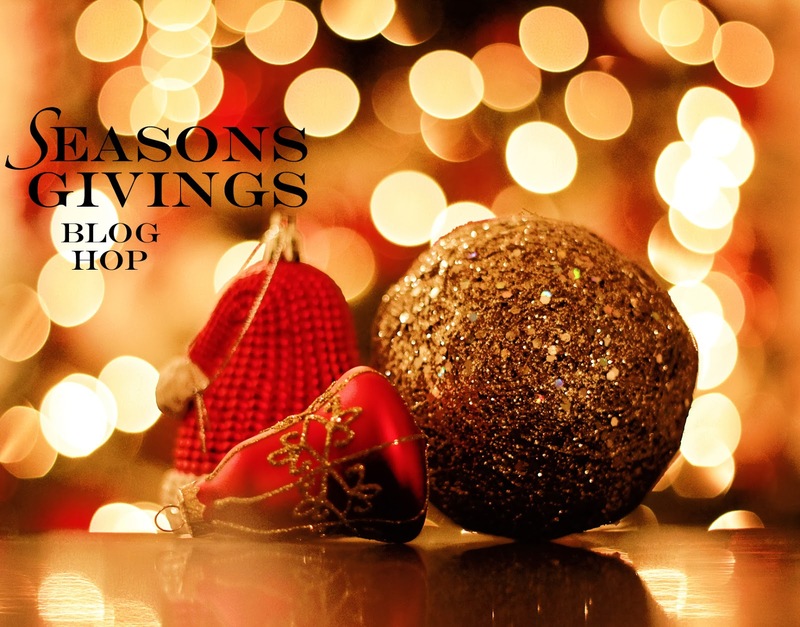 And welcome to my stop on the Seasons Givings Blog Hop! 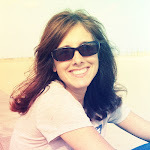 I'm so excited to be a part of it this year and have a fun giveaway to share to one lucky reader. 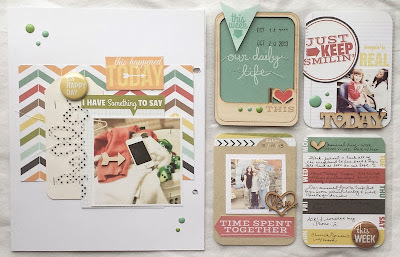 This blog hop comes at a perfect time. I've been really lax with my blogging recently. I guess I had gotten bored with it. But, I've decided that I'm going to start putting more energy into it for 2014! 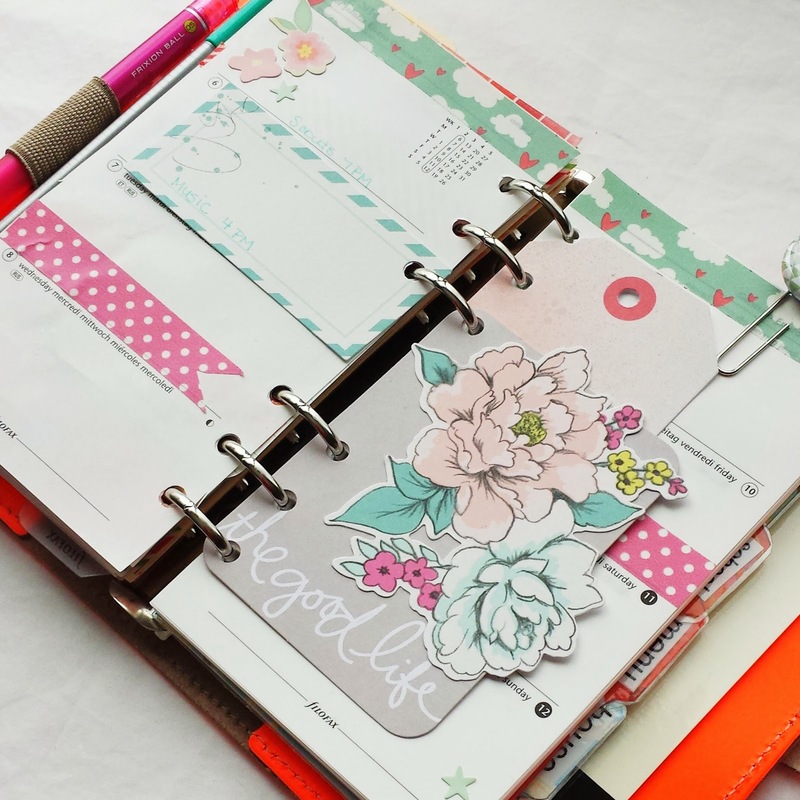 Aside from my projects and descriptions, I'm going to be blogging about my Filofax and how I use it to to support my Project Life pages. I also think I might throw in some cooking posts, too. If you are a regular to my blog you will have noticed that I've done some work on it and have a new background, too. If this is your first time here, I'd love for you to become a follower (see side bar). Let me know what you'd like see more of. So, thank you to all of you who have visited this year. 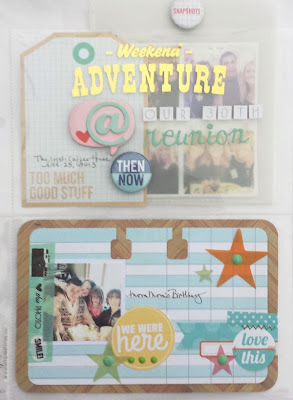 This blog hop is giving me the chance to show you how much I appreciated your taking the time to stop by and spend some time in my little corner of the blogosphere. Each and every one of your comments always means a lot. Thank you! I thought I'd share this project with you today. It's one of my favorites from this past year. 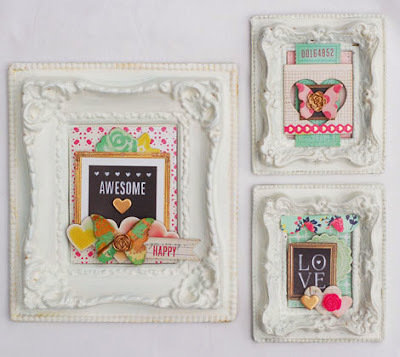 I started off with some REALLY ugly frames that I got at the thrift shop for a quarter a piece. I painted them white and added some Lumierre opalescent paint to them to give them a sheen. 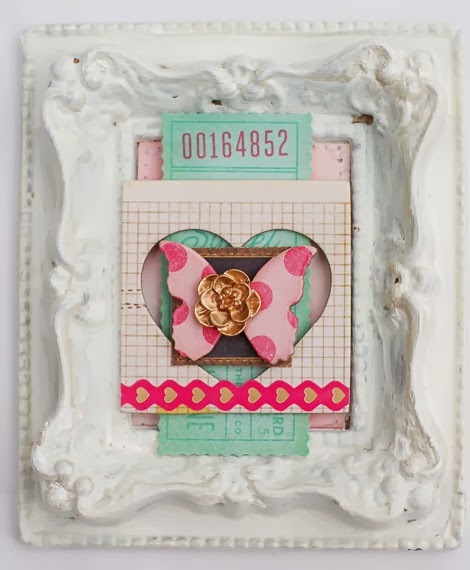 Then, I layered on lots of Crate Paper's Flea Market goodies onto them. I love the chipboard butterflies and the gold resin flowers, so those took front stage here. The frames are rather small, so it was fun to try and find bits and pieces to put together on them. Currently, they are on my scraproom wall. I attached them to a length of white ribbon and they are hung vertically. They look so pretty! 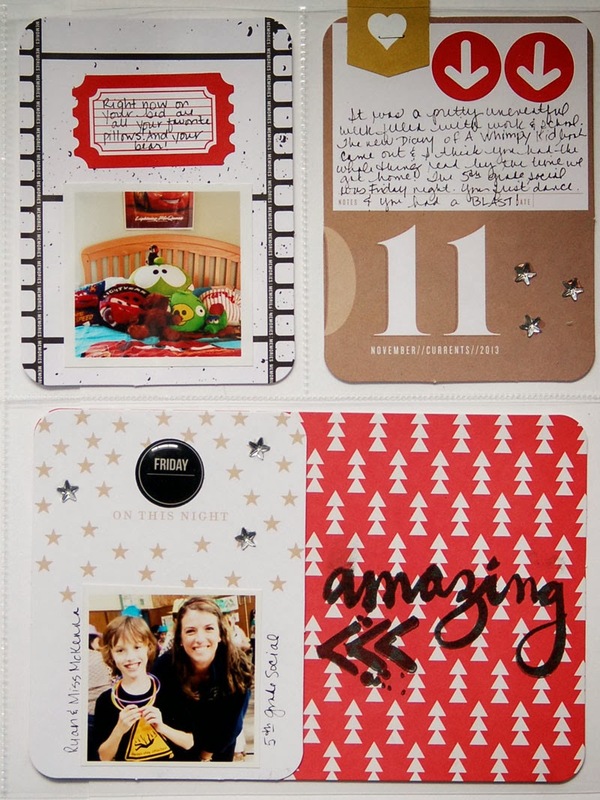 So, to thank all of my blog readers and to start the year off right, here's my giveaway. This giveaway is filled with 6 by 6 papers from Pink Paislee, Glitz and Carta Bella. 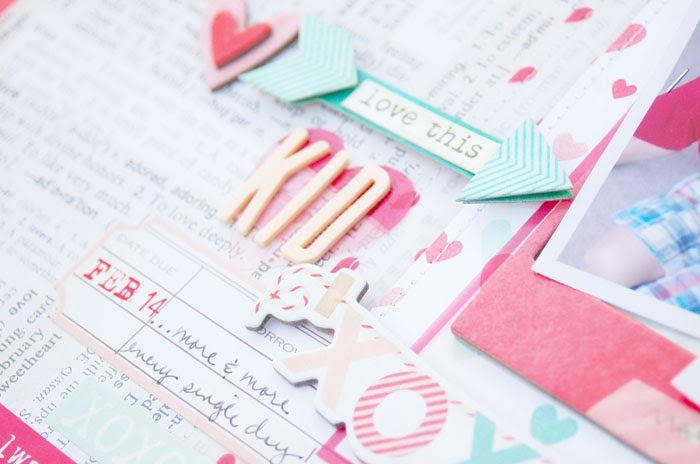 There are lots of other goodies, too, including embellishments from Crate, Pink Paislee, Elle's Studio and Basic Grey. Just leave a comment below by midnight EST on January 5. I will choose a winner and post it on the 6th. Below is a list of companies and people participating in the blog hop. There are TONS of prizes to be had. Thanks so much for stopping by and have a Happy New Year! !